As well as being a coffee producer, Antonio has been a beekeeper for a long time. One day a client brought him some white cedar saplings which Antonio planted among the coffee trees. 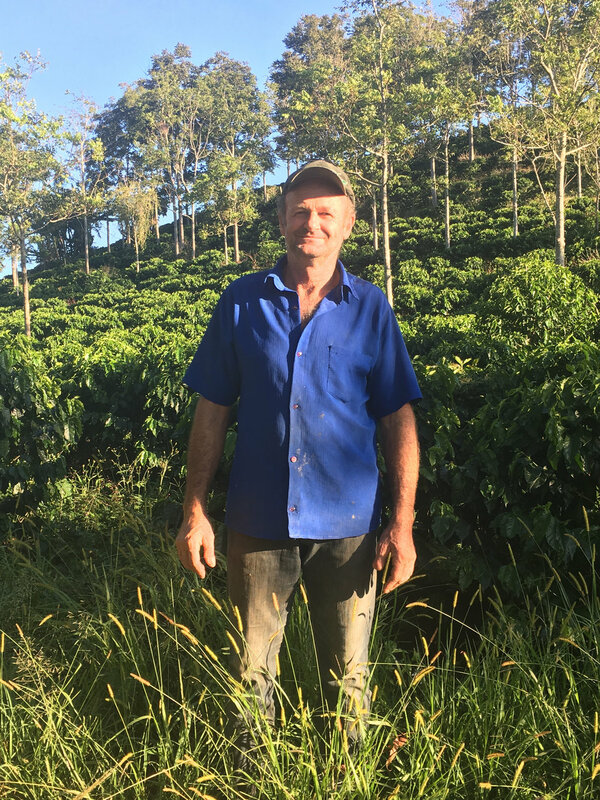 He noticed that the coffee under the new trees did really well, so he continued planting them with a 10 x 10 meter spacing. The coffee trees are much healthier and happier under the trees and his workers too! Today he says that he has been able to increase the organic material in the soil thanks to the white cedars.